Smiling has a positive effect on our well being but as we make transition from child to adult, we often tend to lose the habit of indulging in this behavior. Here is the collection of interesting psychological facts about smiling. Researchers have found that even you are in bad mood; you can instantly you can instantly life your spirits by forcing yourself to smile. Smiling is a psychological symbol of strength. A genuine smile wrinkles the corner of eyes and changes the expression of entire faces. Fake smile only involve the mouth and lips. Studies have shown that smiling really a contagious. Our brain automatically associates smiling with happiness. If we force to smile, our brain will assume we are happy. Smile relieves stress. Our body release endorphin when we smile, even when we force it. Smiling boosts our immune system and can help us live 7 years longer than average. Smiling can reduce our blood pressure. Asymmetrical smile– it appears fake. One side of mouth is raised. Genuine smile– our lips turn-up and may be even showing teeth. Loving smile– it look like a genuine smile but adding a tilt of head. Embarrassed smile-this smile usually appear when someone feel embarrassed. Lips tightly pressed together. Polite smile– it does not registered in the eyes. Only turns up both corner of mouth. We use 5 to 53 muscles to smile and 43 to frown. Smiling too much is generally the sign of someone experiencing emotional pain. 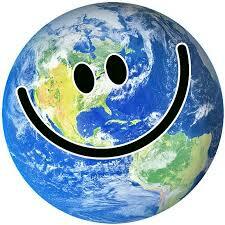 Happy people smile 40-50 times a day, the average us only does so 20 times.